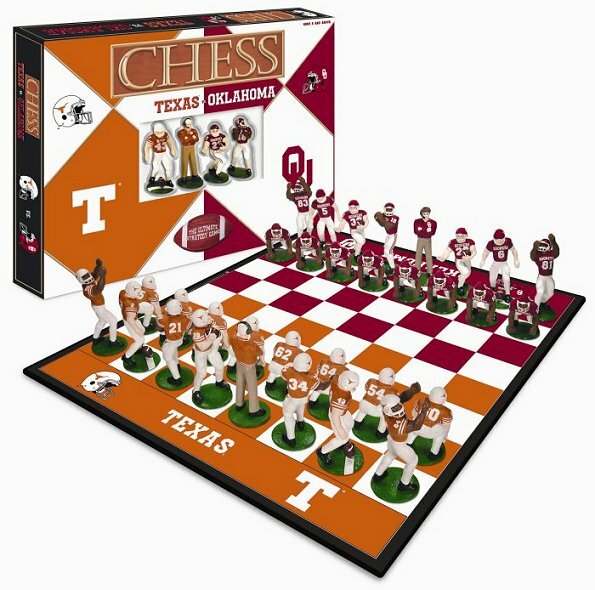 Big 12 football powerhouses Texas and Oklahoma meet up in this collectible sports chess set. The rivalry heats up with the Longhorns and the Sooners battling to capture the opponent’s Coach and reign supreme! This chess set features 32 authentically sculpted and detailed action figure Chess pieces. The chessboard features each team's colors. The King is 3 inches tall, and the Board measures 17x14 in.